The back issues are a’comin’! Finally making some headway into the massive back issue stock, getting more material priced and put out! 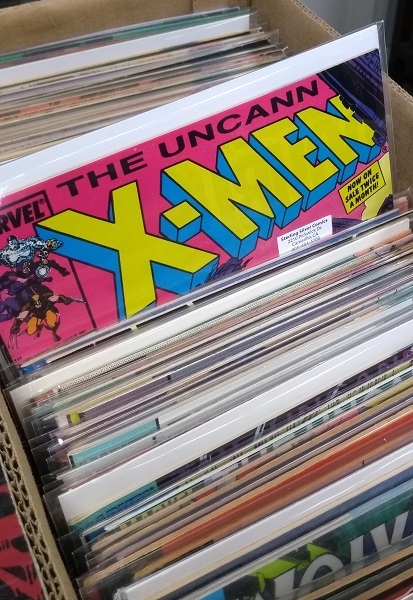 Just added to the stacks today are a bunch of 1980s Uncanny X-Men , a whole lotta New X-Men from Grant Morrison’s run, and more! And there are more back issues to come! This entry was posted in Comics on October 3, 2018 by Mike.